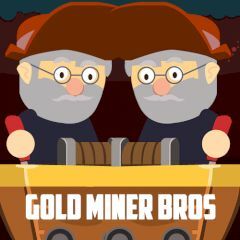 The ground is rich with minerals and gold, that is still untouched and available for enthusiasts like these miner bros. Help them reach all gold in every level they work at and acquire stars. Do it within the limited time and drag out gold ore and stones underneath. Spend money on upgrades and explore other levels.